Chinese smart lighting solutions company Yeelight has arrived in India with the launch of four products including a smart lamp, two smart bulbs, and a light strip. The price of the new products unveiled by the Xiaomi-backed brand range between Rs. 2,499 and Rs. 4,999. The products – Yeelight Aurora Lightstrip Plus, Yeelight Candela Lamp, and Yeelight Smart LED Bulb – will be available exclusively via Amazon in the first phase, starting today (October 22). For offline buyers, the products will also be available via retail outlets and experiential zones in select cities. The company, which became a part of the Xiaomi Mi Ecosystem in 2014, says that it is equipped with “professional optical laboratory” and its smart lights come with an “advanced dimming algorithm and professional optical simulation.” Together, they are claimed to offer “quality lighting experience” to users. Notably, the Yeelight smart lights can be controlled with a smartphone or a tablet. They also offer hands-free control with support for voice assistants such as Google Assistant and Amazon Alexa. Additionally, the Yeelight smart lights come with Wi-Fi support, adjustable colour temperature and brightness technology, as well as, customised lighting effect setting. To recall, the company has previously launched a number of interesting products in China such as the Yeelight Bedside Lamp and Yeelight LED Ceiling Light. Coming to the first product, the Yeelight Smart LED Bulb comes in ‘Color’ and ‘Tunable White’ variants. The product is Wi-Fi enabled and there is no requirement of a dedicated hub. Users will be able to control them with Google Assistant and Amazon Alexa. The programmable lights can be set to turn on or off at chosen times. Users can also dim and adjust colour temperature in the Smart LED Bulb. The colour model has been priced at Rs. 2,799, while the White variant is available at Rs 2,499. The Yeelight Candela Lamp, on the other hand, is an interesting product that comes with a ‘Candle Flicker Effect’. It packs a 2,100mAh battery that promises up to 8-hours of continuous use. 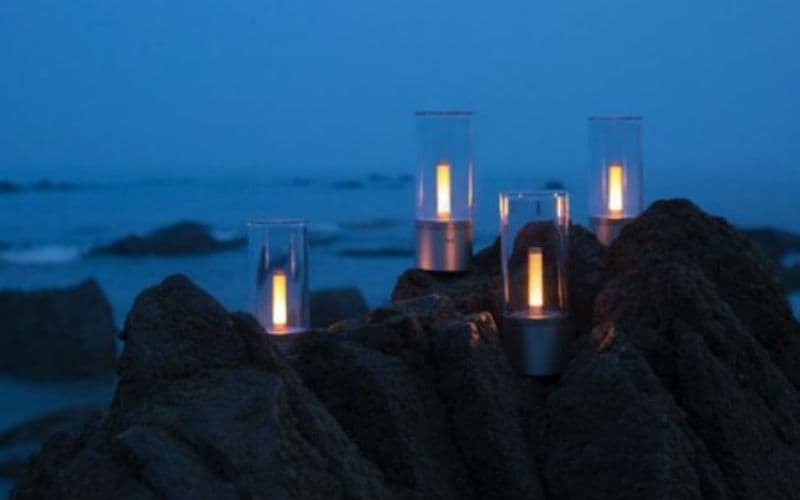 It features BLE Mesh Technology that allows users to connect several lamps and have them light up in patterns, to resemble regular candles. The price in India of the Candela lamp has been set at Rs. 5,999 but will be available on Amazon at Rs. 4,999. 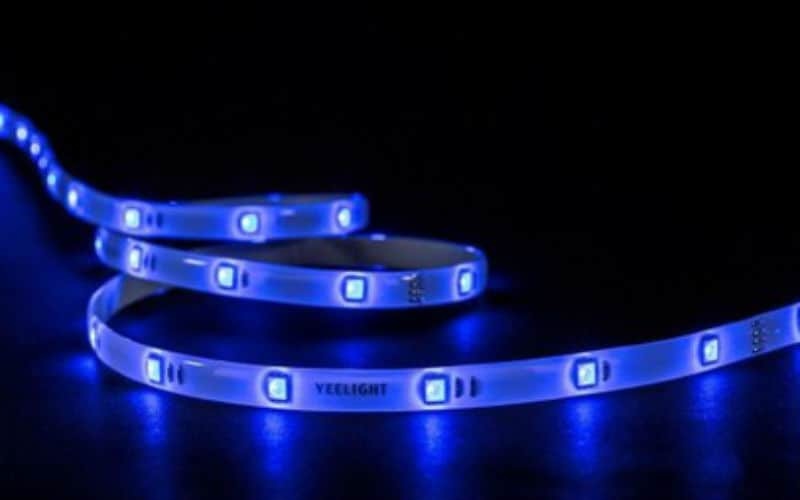 Meanwhile, the Yeelight Aurora Lightstrip Plus is a light strip that is extendable up to 10 metres and is claimed to produce 16 million colours. The lights also come with music sync support. Notably, the Yeelight app supports remote control anytime and anywhere. This product is also programmable and can be controlled with voice assistants. The Aurora Lightstrip Plus comes with a price tag of Rs. 4,399 but will be available on Amazon at Rs. 3,999.